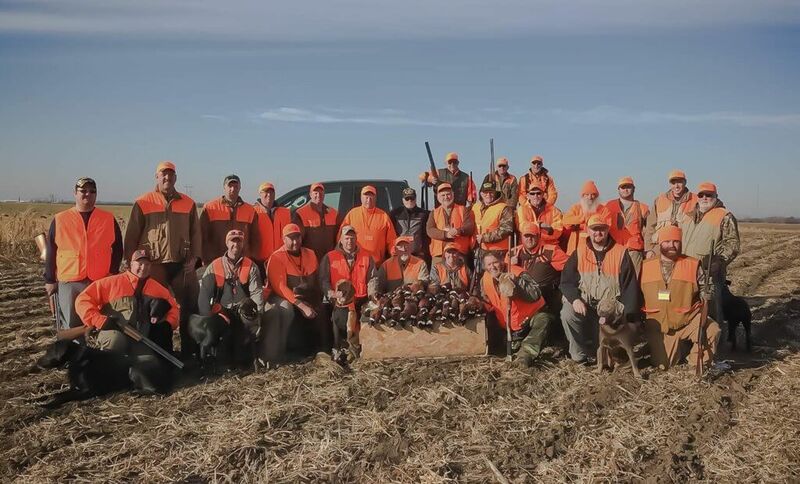 The 2017 South Dakota pheasant season has come to an end and it is now time to start prepping for the next season. It was a fantastic season last year even though the reports stated that the bird numbers were lower than the previous year. It looked grim during spring/summer of last year, however, things changed around for the better! The guides worked hard to make sure that the hunters left with great success and the cooks made sure that they left with a full stomach. This year looks to be a better year so far as we had a very mild winter compared to other years in the past. We were able to avoid any major ice storms and blizzards in our part of the state. As always, mother nature plays a huge role in wildlife populations, so we just need to hope that mother nature is on our side. Plus, the predator hunting has been of great success eliminating many coyotes, skunks, raccoons, and fox. Habitat also plays a major role in wildlife populations. We are adding on to our hunting land by about double bringing it up to roughly 7,000 acres. That acreage will include food plots, grasslands, CRP, shelterbelts, corn strips, sloughs, and river bottom land. This way we can accommodate different levels of hunting abilities from the new to the experienced and different styles of hunting from the flushers to the pointers. 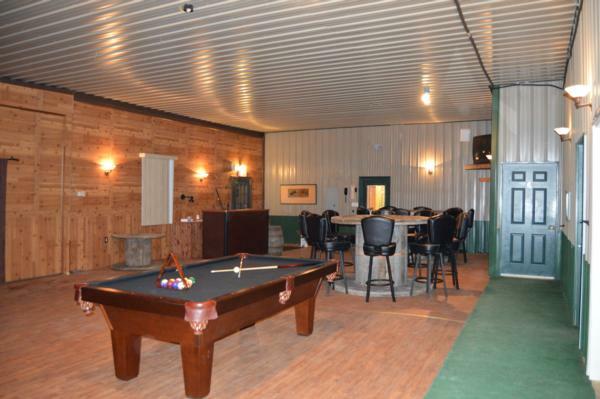 We want to make sure that we can provide an experience for all types of hunters. The greatest advice comes from previous clients and we are listening. Some of the changes/additions that we plan on making are adding a firepit outside for hunters to sit by and relax after a long day of hunting. We also plan on carpeting the rest of the bedrooms to make them a little bit cozier than the linoleum flooring that is presently there. New exterior doors are in the plans because the older ones are a little drafty and outdated. If time allows, we would also like to update the flooring in the game/lounge area. Gunracks in the bus, gunracks in the lodge entrance, bed side reading lights, and more clothes racks are also in the plans. We are also working on adding some different types of hunts and extending our options of hunting packages to give hunters more choices on what and how they would like to hunt. Some of these options are packages for more pheasants to bag, adding chukar hunts, adding quail hunts, and adding combination hunts. As far as big game goes, we are adding more land specifically for deer hunts. We are also in the works of possibly adding buffalo hunts up in the rolling hills of North Dakota! We are looking for some feedback on this, and your ideas are more than welcome! Spring is upon us, and it is getting about that time to get in the fields and begin the start of some new growth — once winter lets her claws loose of us (we are supposed to get snow tomorrow and it is the middle of April)!! The real work is about to begin with field work, food plot preparation, and lodge updates so we can prepare to have another great hunting season. We are extremely excited to see the hunters that we had last year and are always happy to meet some new ones. For the repeat hunters, if we are missing any updates that you would like to see, please let us know and we will do what we can to try and accommodate that. Have a great summer and we will see you this fall! 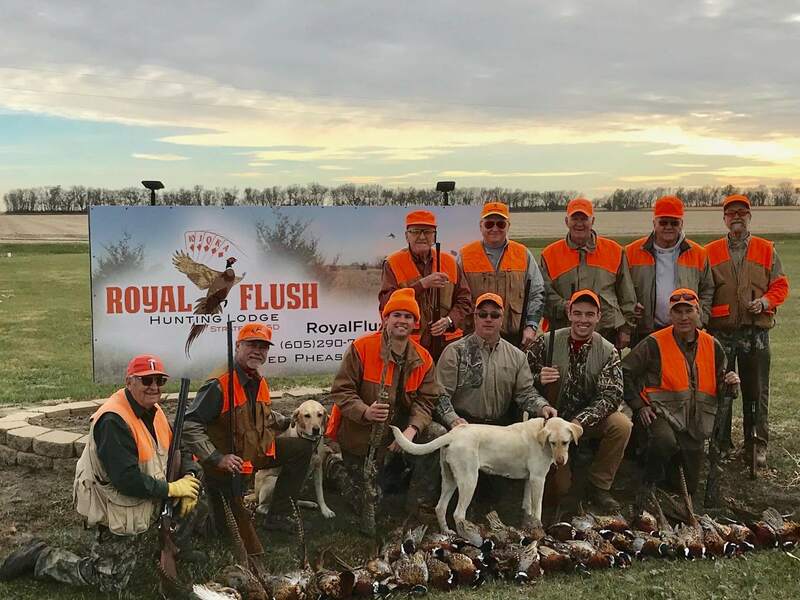 Thank you from all of us here — where you get your flush at Royal Flush Hunting Lodge!